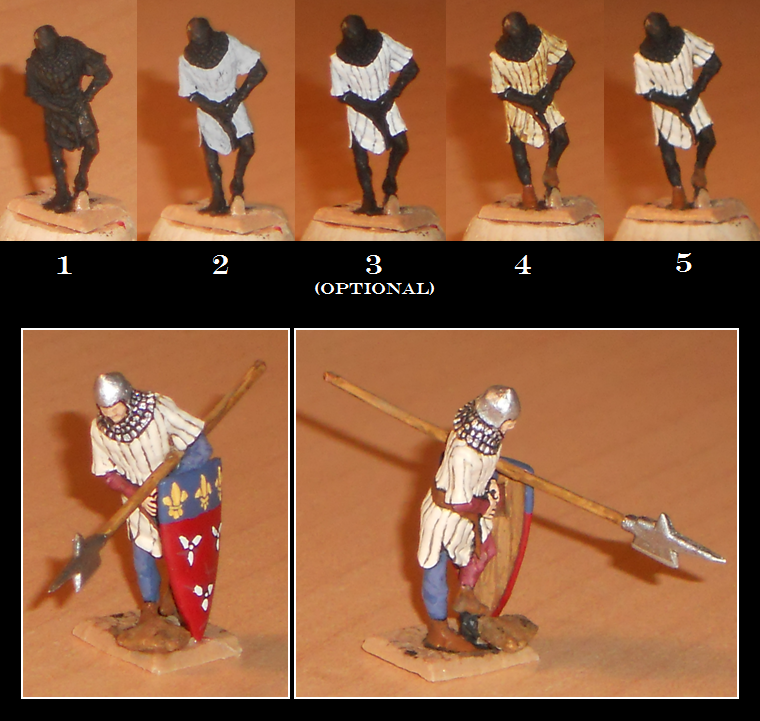 Hi all, this little tutorial shows one way to paint a gambeson with enamels. 4th step: Cover it with a brown wash (I use "Vallejo acrylic wash", Colour: Sepia) so the light grey and the white will look dirty and shines through the highlighted areas. 5th step: Mix white and brown to get a dirty-looking white and highlight the gambeson again. Step 3 helps you now to work faster because you needn´t paint very accurate, so your mixed colour won´t become dry while working.